Trombone Shorty was a child prodigy raised in a musical family in New Orleans. He joined Lenny Kravitz's band right out of high school and went on to work with some of the biggest names in pop, jazz, funk, rock and hip-hop. What: Trombone Shorty & Orleans Avenue perform. 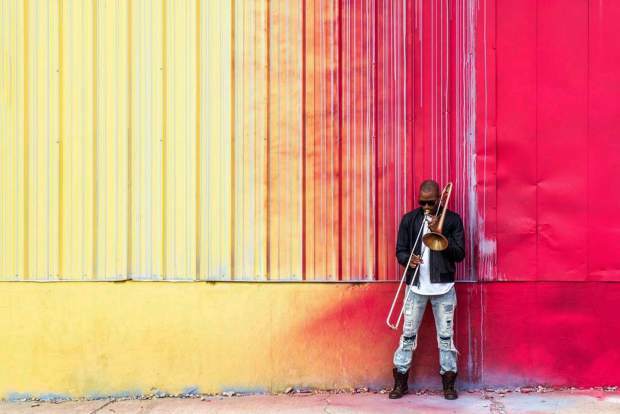 When: Monday, Feb. 5, 7:30 p.m.
BEAVER CREEK — Trombone Shorty is not just a horn player. The versatile and immensely talented musician is also a bandleader, a singer, a songwriter and also one of the most celebrated trombone players in jazz music today. Trombone Shorty & Orleans Avenue will perform a lively soulful concert at the Vilar Performing Arts Center on Monday, Feb. 5, at 7:30 p.m. Tickets are $78 and are available at the Vilar Center box office, by calling 970-845-8497 or visiting http://www.vilarpac.org. The Vilar Center is located under the ice rink in Beaver Creek Village. Born Troy Andrews, Trombone Shorty was a child prodigy raised in a musical family in the Treme neighborhood of New Orleans. He joined Lenny Kravitz’s band right out of high school and went on to work with some of the biggest names in pop, jazz, funk, rock and hip-hop. In 2016, Trombone Shorty & Orleans Avenue toured as a supporting act for Hall & Oates. And in 2017, the group opened for the Red Hot Chili Peppers during the North American leg of their world tour. In October, the group rocked the house on “The Late Show with Stephen Colbert” by performing with singer Jon Batiste. Even in the toughest of times, Andrews is a firm believer in the philosophy that “music brings unity,” he says. The new album “Parking Lot Symphony” is meant to reflect this. Trombone Shorty & Orleans Avenue are amazing live performers that move audiences to their feet nearly every time they play. These energetic jazz musicians keep the party going and don’t stop until you hear the last trill of the horn at the end of the show.